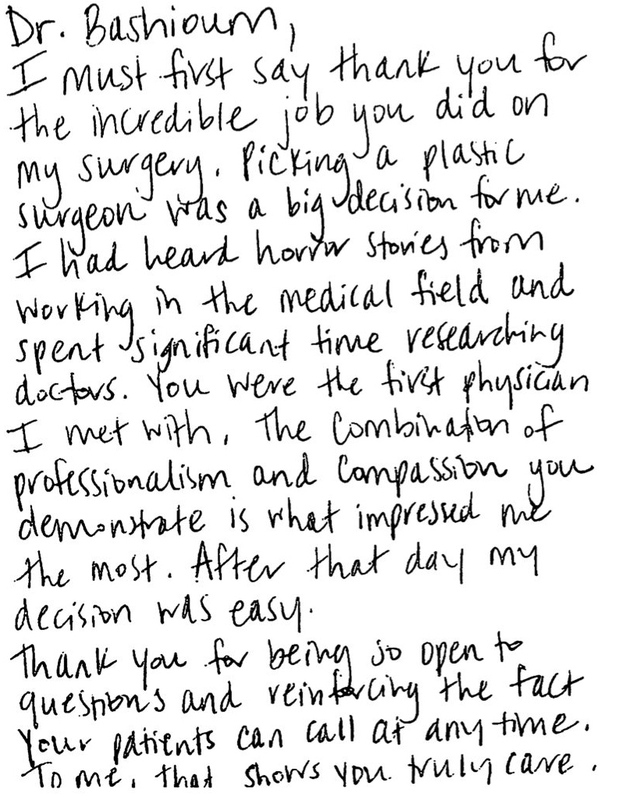 It is always heartwarming when a patient takes time to write us a personal thank you for the care they have received. 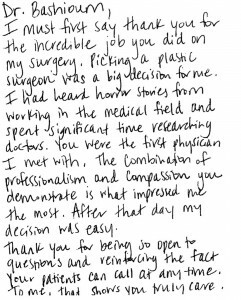 In this case Jennifer also wrote a note to our staff (see here), most of whom have been with me for more than 15 years. 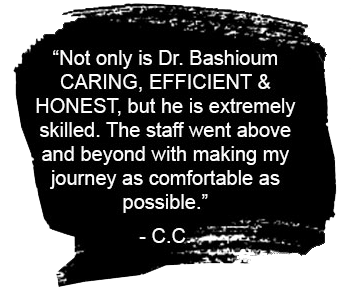 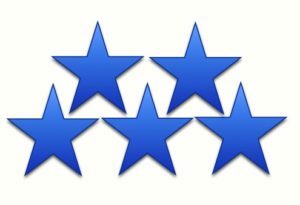 It is rewarding to know that the special care we provide to our patients is appreciated. Thank you Jennifer for sharing your experience and kindly giving us permission to post your notes.